Throwback Thursday: Keith Urban Understands Romance—Do You?! This week we have reached the perfect connection in romance and social media! Not only is today #ThrowbackThursday; but it's also Valentines' Day! 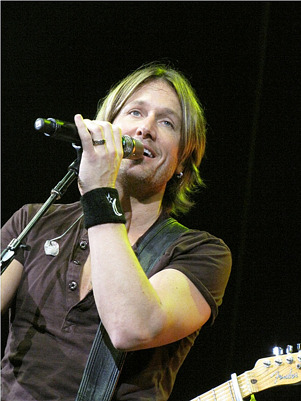 We have a blog post from back in the day about Keith Urban and his view of...guess what? Marriage! That makes this #ThrowbackThursday post the perfect romantic post for Valentine's Day! Because what's more romantic than a celebrity who knows that loving his wife more than his kids is ok? Answer: nothing. Nothing is more romantic! Happy Valentine's Day, parents! Keith Urban has sold more than 15 million albums, is a four-time Grammy Award winner, and has won a People's Choice and American Music Award.He's won five Academy of Country Music Awards and had 14 No. 1 songs, including 28 Top 5 hits. In 2012, he became a member of the Grand Ole Opry. His latest CD, "Get Closer," comes on the heels of his fifth consecutive platinum or multi-platinum release. It has produced three consecutive No. 1 singles: "You Gonna Fly," "Long Hot Summer" and "Without You." We at NFI think what Urban said is worth repeating—perhaps today would be a great day to show your wife that she is more important to you than anything in the world—even more important than the kids! What's one thing you will do today to show your spouse takes priority over your kids?